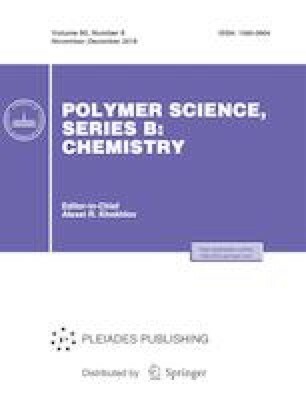 Composites comprised by polyaniline doped with itaconic acid and tin oxide (SnO2) were prepared by in situ polymerization method. Aniline was polymerized in the presence of SnO2 to form inorganic–organic nanocomposite materials, in which SnO2 nanoparticles were embedded within polyaniline. The chemical structure, crystallinity, morphology, thermal stability, conductivity, and microwave absorbing properties were characterized. The morphology of the composites is nanorod and polyaniline enwraps SnO2 to form a kind of core-shell nanostructure. Moreover, the composites have better thermal stability and microwave absorbing properties. This work was supported by National Natural Science Foundation of China (Grant no. 51603116).